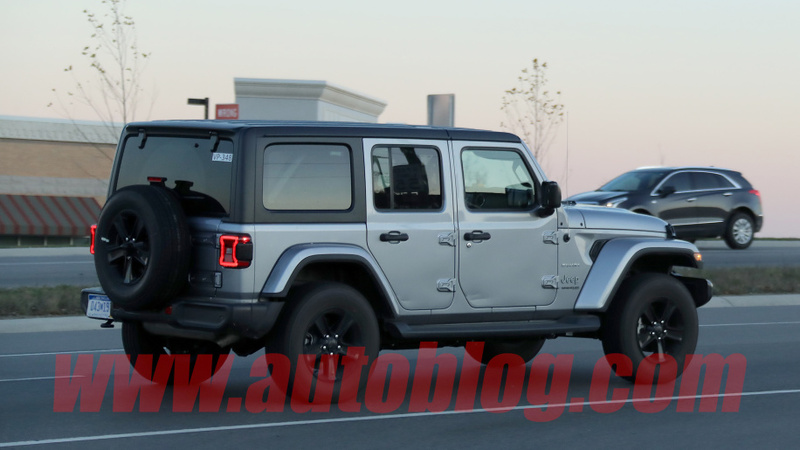 2018 Jeep JL Wrangler spy shot mega gallery" width="215" height="110" hspace="10" border="0" align="left"/><strong>We've already seen the 2018 Jeep Wrangler in official shots from the automaker. But there were only three, and they showed off only two of the many trim levels we're sure will be offered. 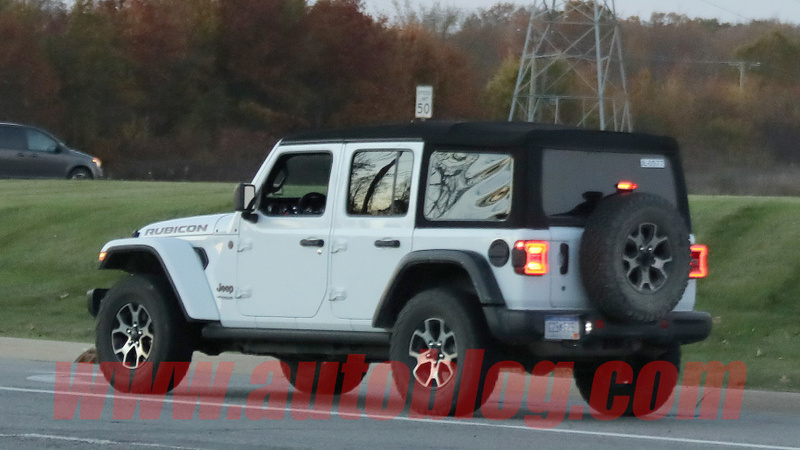 So, feast your eyes on this spy shot mega gallery, which puts on display both two- and four-door Wrangler models in Sport, Sahara, Rubicon, and Overland guises. There are more than 40 images here, so take your time before coming back to finish reading. Done? OK, good. There are a few interesting bits worth obsessing over, starting with the two-door Rubicon in black. Obviously, there's no front bumper on this prototype. We can't say for sure whether that's because it's been out testing in its natural habitat, but we can clearly see the potential for top-shelf approach angles. 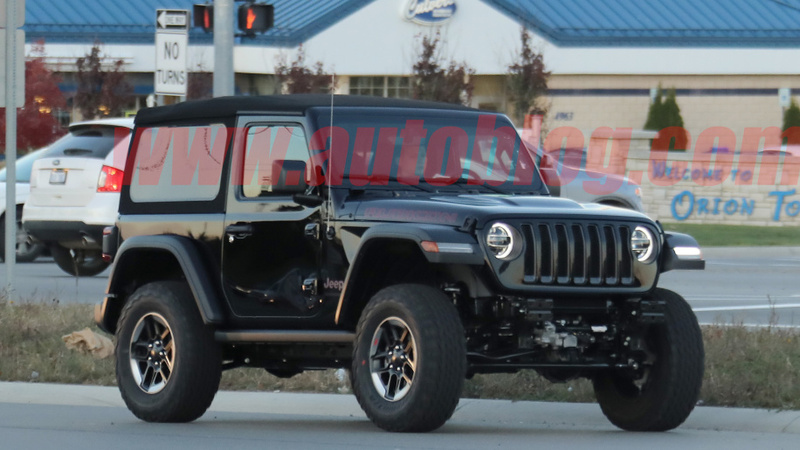 We also get a good look at the removable soft top, which has nice, big, open side windows without the diagonal strip of opaque vinyl cutting through. 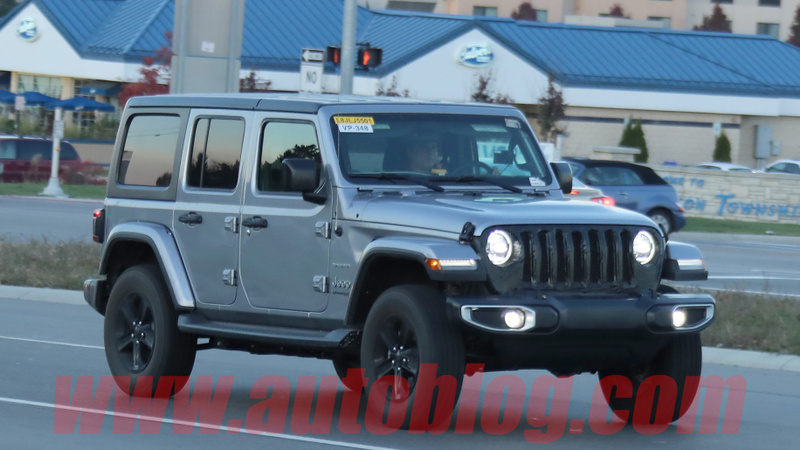 There are five different four-door Wrangler Unlimited models in this gallery (not including the Wranglers of the last slide that are shot from further away), in Sport, Sahara, and Rubicon trim levels. We see soft tops (with what we hope are preproduction rear windows that don't line up very well) and hard tops in both matte black and body color. Clearly, the hardtops have removable sections for an open-air experience without the hassle of completely pulling off the entire outer shell. Also note that the black Unlimited Overland (with silver highlights and mirrors) is an export-only trim. Finally, take a look at the interior shots at the end of the gallery. We're not sure which model we're looking at, but it's a bit incongruous to see a contrast-stitched and leather-covered dash with a small UConnect touchscreen surrounded by a bunch of hard plastic. Thankfully, we're sure that a larger LCD will be optional, along with a cool body-color dash panel and an additional screen between the two main gauges. The interior we see in this spy gallery shows the eight-speed automatic shifter sitting next to a console-mounted four-wheel-drive shift lever. We've heard that multiple 4x4 systems will be available, including one safe to engage for full-time four-wheel-drive.